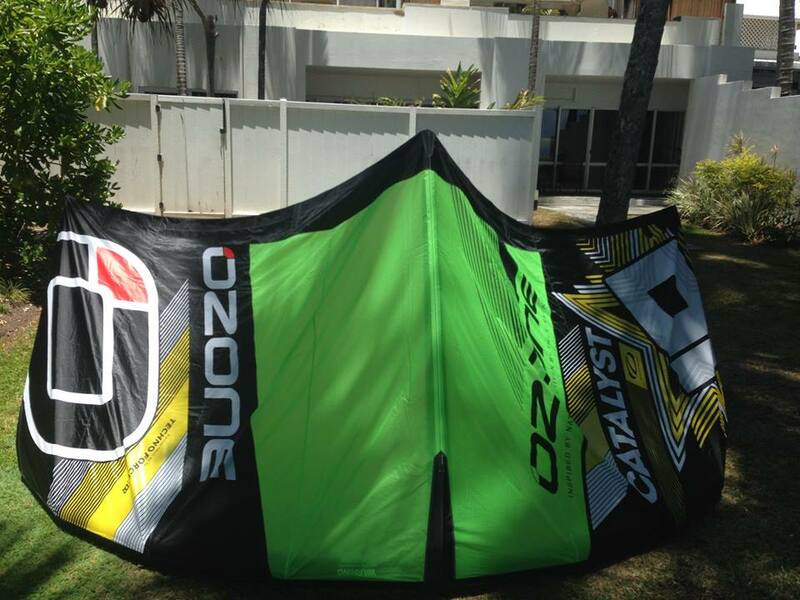 The new 2015 Ozone Catalyst, in my opinion is truly leading the way when it comes to an all-round kite. 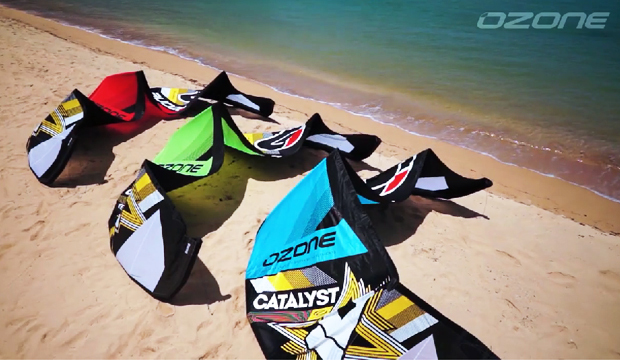 Here at kiteboarding Cairns we have been using Ozone Catalyst kites in our school and recommending these kites to all our students and customers for the last three seasons. Not only is the quality astounding, but the performance just can’t be matched. We have tried other brands in the school that simply break down and are pretty much wrecked by the end of the season. The Ozone Catalyst is different though. I mean we’ve still got Ozone Catalyst’s from 2013 still going strong. The first thing that really stood out was how smooth the kite was. The bar pressure is light, but not too light that you can’t feel the kite. Not only was the kite good for all-round hooked in riding, but it also really excelled when it came to unhooking. Handle passes were effortless. Ok the pop isn’t massive like what you get on a true C-kite, but it’s consistent and gives you a lighter enough bar to make passes easy. Loops on this kite are also great. It pulled enough to give good pull and height, but was also very comfortable and doesn’t drop you like a stone. I honestly can’t emphasise enough how great this kite is and I honestly can’t find a fault wrong with it. Fist lesson on the Ozone Catalyst and the kite was super stable. Student was locking the kite in and progressed really well. The relaunch was great and probably an improvement on last year. Well there’s a quick intro on what I think of the new Ozone Catalyst 2015. If you want to try this truly great kite for yourself, give us a call and give the kite a demo for yourself.